Electrical Hazard Protection meets ASTM F2892-11 standards. Steel Toe meets ASTM F2413-11 I/75 and C/75 standards. Take on the rain or river with the Milwaukee Waterproof Boot. 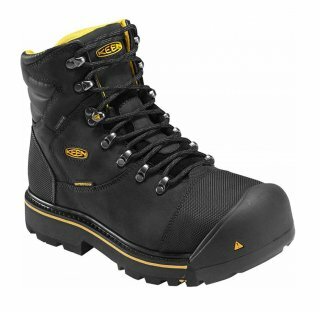 Water resistant high top boot will keep you feet safe with its steel toe, heel lock, and slip resistant construction.